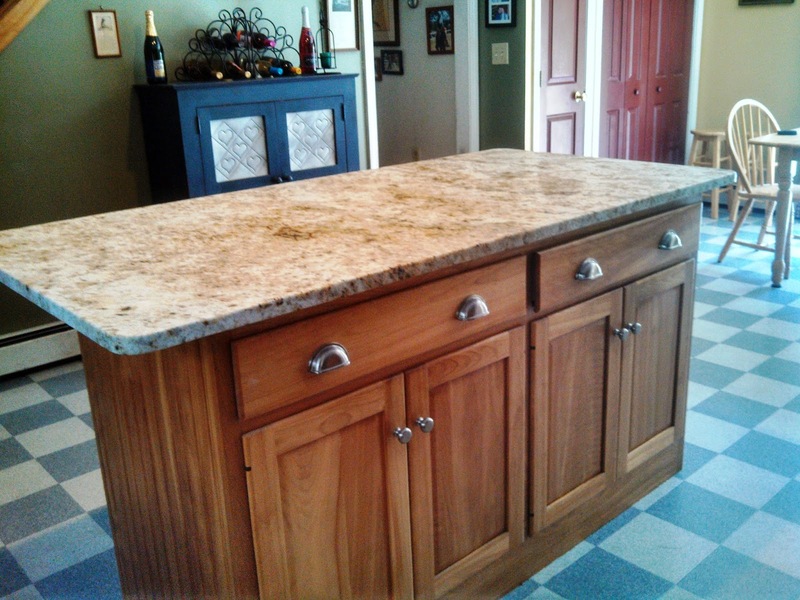 A pretty little house was built, and the custom cabinetry chosen was beautiful…and still is! Red Birch (my favorite) partial overlay doors with slab drawers and a slight raised panel door. What isn’t so beautiful are the laminated counter tops, but that was all the budget allowed. Spending the money on the high end cabinetry was definitely the right thing to do. 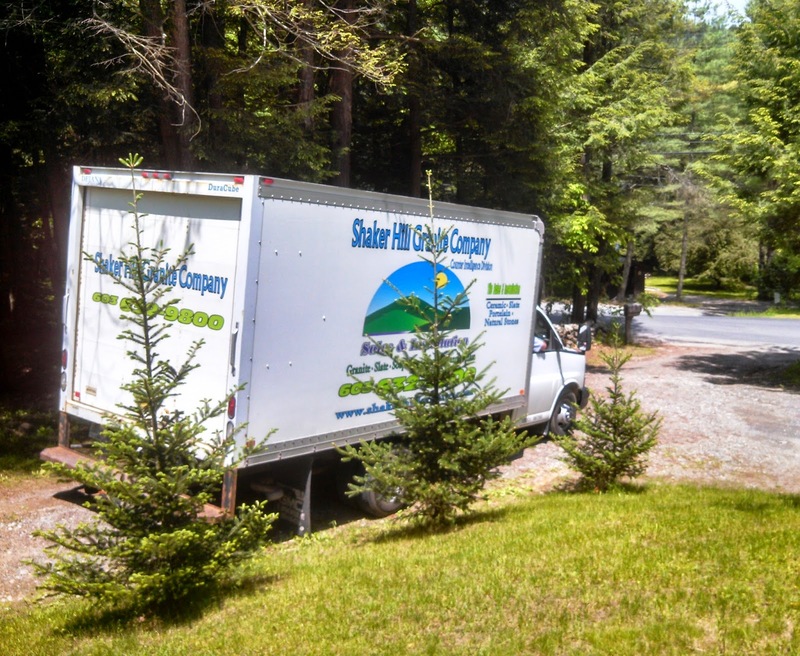 SO excited, the upgrade is finally in the works, thank you Shaker Hill Granite for being so friendly, helpful and awesome. Our island will be first with the Colonial Gold Leather. This will be a one shot deal. Easy template, we’ll do it ourselves, no cut outs needed and a double pencil edge. 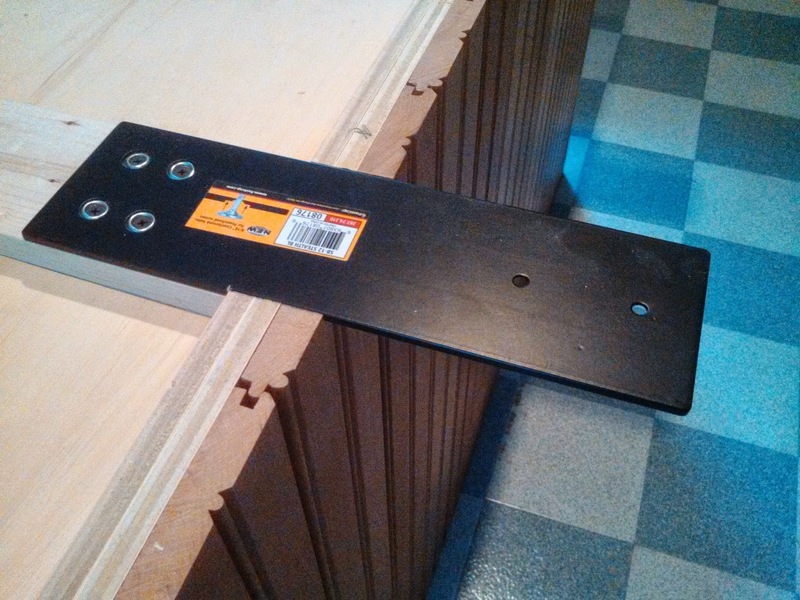 Drawers and rollouts are removed to unscrew the laminate, which will be easy to remove. Time to add the braces. Two of the Stealth Braces by Richelieu provide just what we needed, with no visual. Cool! It’s time for granite! Woo Hoo! Voila! Rob and his guys were in and out in no time. Teamwork is key when lifting and maneuvering a sizable piece and they have it down. We have a “B” in the veining, do you see it? Love it! 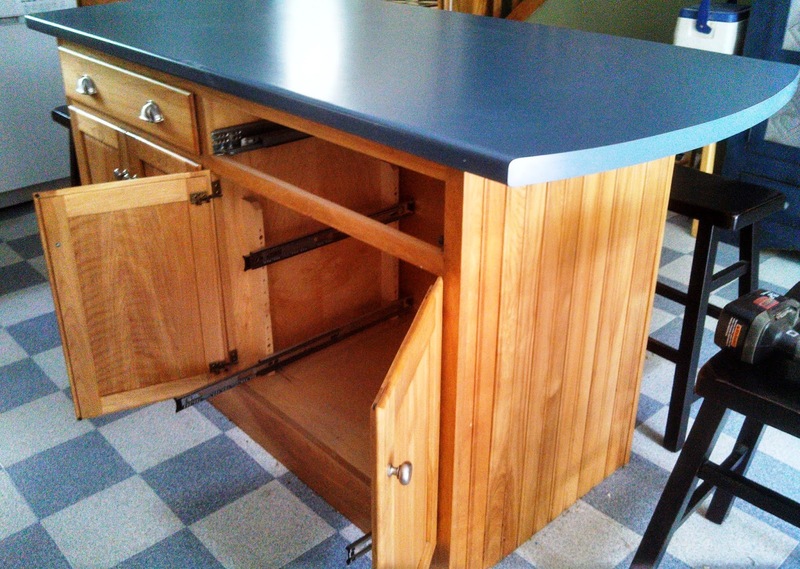 Planning ahead for the rest of the counter, which is an L-Shape, fridge – range – corner – farm sink (upgrade). Cambrian Black Antique will be the choice, we think. Honed Absolute Black / Enhanced is in the running also. We’ll see! 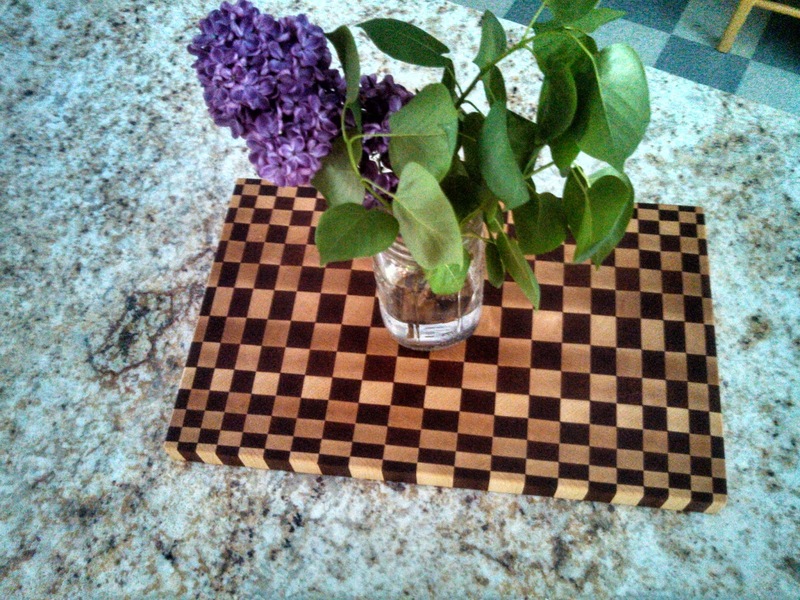 Thanks for stopping by our blog and if would like a cutting board made for you, or for a gift, you know who to contact! 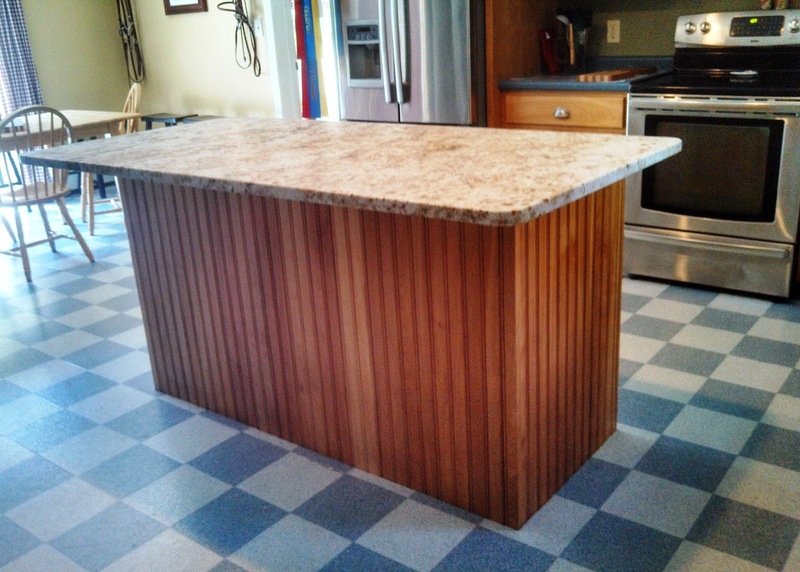 This entry was posted in Countertops, kitchen reno. Bookmark the permalink.